Welcome to Adventure! 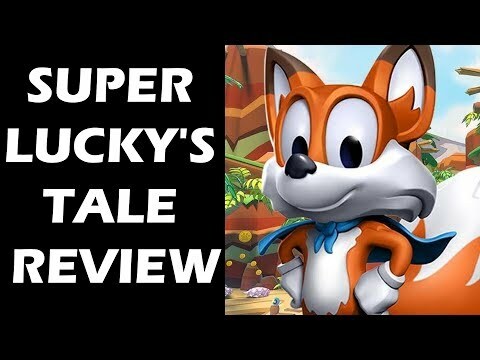 “Super Lucky’s Tale” is a delightful, playground platformer for all ages that follows Lucky, the ever-optimistic, energetic, and lovable hero, on his quest to find his inner strength and help his sister rescue the Book of Ages from Jinx. Jinx is the scheming and mysterious villain trying to reshape the world, but for what reason? Along the way, encounter a hilarious supporting cast of friends and adversaries. Lucky must confront the nefarious Kitty Litter, Jinx’s mischievous kids – self-taught villains who might not be getting Jinx’s plans quite right. Lucky meets friends and allies along the way too. He meets misplaced Yetis, Kooky Spookies, a village of farming worms, and other colorful friends inhabiting the Book of Ages. Test your skills with carnival attraction mini-games and nerve-wracking obstacle courses. Plus, surprise “Jinx Levels” popping up when you least expect them, drawing Lucky into a fiendish game of life and death. Explore hidden secrets of new worlds with Lucky’s signature burrow move. Dive into unpredictable foxholes, or try devilish side scrolling challenge levels to unlock additional rewards. Head back to the era of classic platformers with challenges players of all skill levels and all ages can enjoy. Been thinking about getting this on PC...heat! I used to have a super lucky tale. But now iam married so i dont get to play it as much. This game reviewed poorly, but yet a lot of people seem to like it..can anyone who likes it enlighten me? This game reviewed poorly, but yet a lot of people seem to like it..can …This game reviewed poorly, but yet a lot of people seem to like it..can anyone who likes it enlighten me? It’s just a bit of fun platforming. It’s quite easy and more aimed at younger players but I had a nice time playing it, especially considering it’s very cheap. Sorry for such a newbie question but just bought first XBox for my kids birthday next week. Do I have to be on some sort of subscription to use this game? Great price for really good game! I bought it already in Sainsbury's for £9.99 on Thursday. Sorry for such a newbie question but just bought first XBox for my kids …Sorry for such a newbie question but just bought first XBox for my kids birthday next week. Do I have to be on some sort of subscription to use this game? 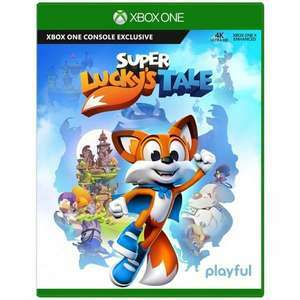 No subscription needed to play this...but, as you're completely new to Xbox, you should check out 'game pass' (usually cheaper monthly deals going on cdkeys)...it will basically give your kids (you) access to loads of games at not additional cost...this game being one of them. Being new to Xbox you'd definitely get your monies worth out of gamepass...new and old games are on there for you to download. Gone up to £9.99 now.